It may be OK to constantly launch new furniture on the market. But to develop new technological achievements, spatial concepts, and kitchen modules every year seems more or less impossible, at least from the viewpoint of the observer. “Slow down” has long since been the adage of designer Peter Raacke. But he often follows through with an equally resolute “but go for it!”. Innovation, yes please! 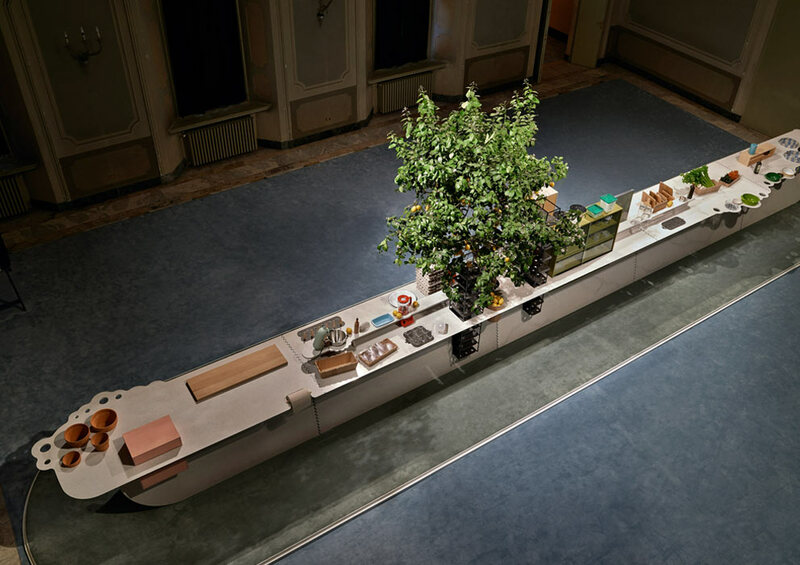 If you have this mindset when traveling to the EuroCucina in Milan, which coincides every two years with the Salone del Mobile, then you’ll be surprised how many new things there are to see after all. The trade fair and the city are interwoven as regards kitchens, indeed far more interwoven than a visitor to the “Passagen” in Cologne would imagine. 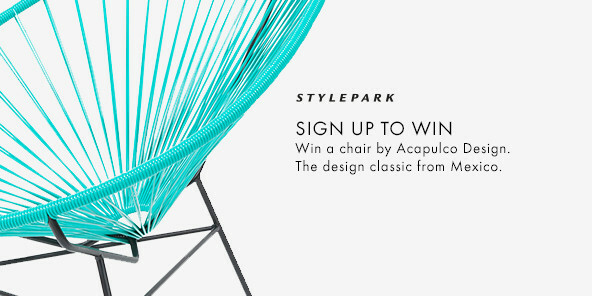 Some of the best-known brands, such as Boffi, Bulthaup or Poggenpohl, traditionally eschew the hustle-and-bustle of the trade fair grounds and prefer to draw the crowds in their own palazzi and showrooms. 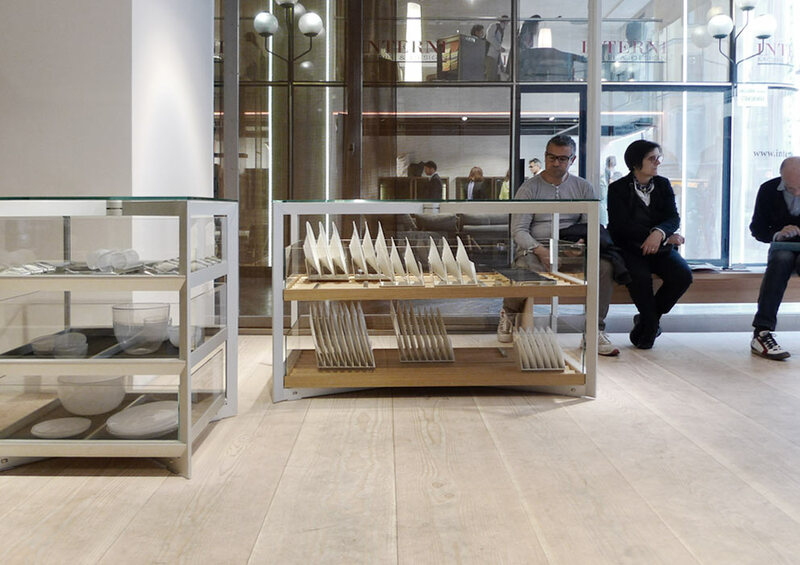 Others, usually local brands, divide themselves between the trade fair and the Fuori Salone. Not to forget that unexpected actors from the world of themed kitchen experiences and cuisine are to be encountered presenting their wares in many a playfully offbeat satellite. Let’s start at the fair, and with kitchen furniture. Some manufacturers like Varenna, Poliform’s kitchen brand, hand out their own tickets to visitors at the entrance, to channel the throng. This procedure costs you a little time, but enhances the appeal. Often, what you get to see, feel and above all photograph behind this access control system is not that spectacular. The most important novelty is called “Phoenix” and is as minimalist as one would expect of Varenna, offering a wide range of materials and surfaces, and boasts a worktop only 6mm thick. Dark woods and brushed stainless steel characterize the booth. The spectacular innovation is to be found over in the Brera district, at Piazza Cavour in the joint Poliform and Varenna showroom. 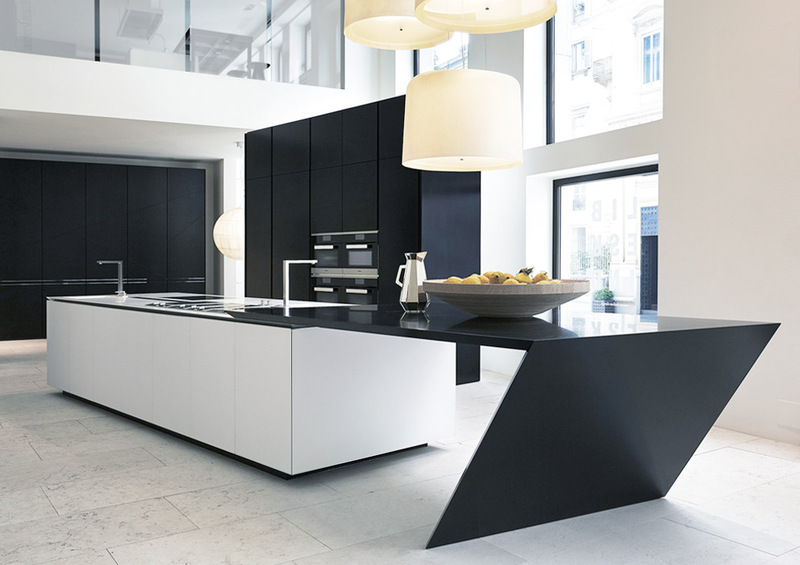 There stands Daniel Libeskind’s “Sharp” kitchen alongside the cupboard of the same name. The Corian steel kitchen island culminates in a table that juts out into the room like a frozen bolt of lightning. It’s the architect’s unmistakable signature; he otherwise uses proven components, such as Dornbracht’s electronic “eUnit” and “Lot” fittings. If, by contrast, one immerses oneself in the world of Nendo, of Japanese-Canadian designer Oki Sato, whose office is located in Milan, then you will enjoy the contemplative mood of the Cos fashion brand (an H&M subsidiary) even in his latest kitchen design named “Ki” – Nendo created it for the Italy’s Scavolini brand. There’s a life-size model on show here at the EuroCucina. In Japanese, Sato explains, “Ki” has different, almost mutually contradictory meanings. It means “wood”, “function”, “technology”, “container” and even (and you could hardly top this if you wanted to) “feeling” and “emotion”. So a whole trade fair full of “Ki”! Essentially, Nendo’s kitchen consists of a “cup and saucer”, as he puts it. Wooden shelves and an organically shaped element that can perform various functions: It can serve as the hob or as a basin comparable to the Starck baths for Duravit. 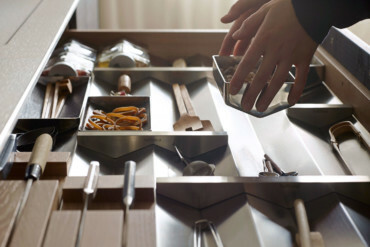 Or as a storage space for utensils that need to be at hand. The open storage spaces and rounded side, precisely as regards the shelves, spell more cleaning needed. The designer believes the concept offers above all a sense of visual lightness, and it somehow has the feel of a gentrified version of an improvised student kitchen about it. And Sato has declined “Ki” for the bathroom, too. 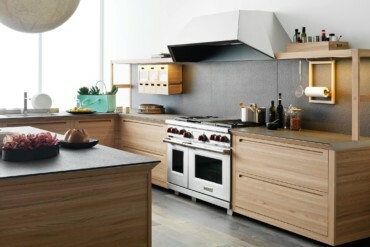 What’s more, thanks to the collaboration with Scavolini the program is said to be affordable. 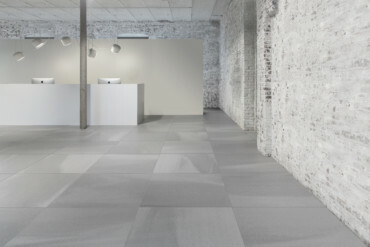 Boffi moves in a different sphere. Outside behind the Triennale building there’s a pavilion, open to the skies, in which radiant Milan spring weather graces Piero Lissoni’s outdoor kitchen called “Open”. 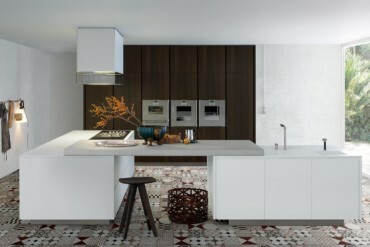 However, the kitchen that is the topic of the fair is not here, but at the rambling Boffi showroom at Via Solferino. 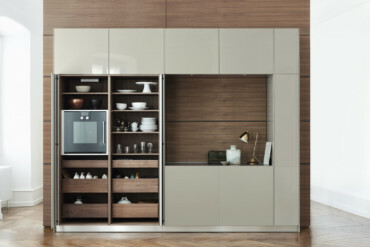 No, it is not the wide cupboard with doors made of “spruce that has aged naturally”, likewise created by Lissoni, and not his other well-conceived novelties for the long-standing brand, but the “Salinas” line by Patricia Urquiola, that attracts the kitchen experts. The kitchen can be wall-mounted or used as a standalone unit and consists of a visible tubular structure that uses a technical channel to centrally handle all the electrics, water supplies and drainage. The fronts are framed in aluminum profile with a variety of panels available, but boasting impressive metal lacquers for the duration of the show. Pundits suggest above all the rounded half-isle tables (in olive or walnut, as you so like) as overly slick. 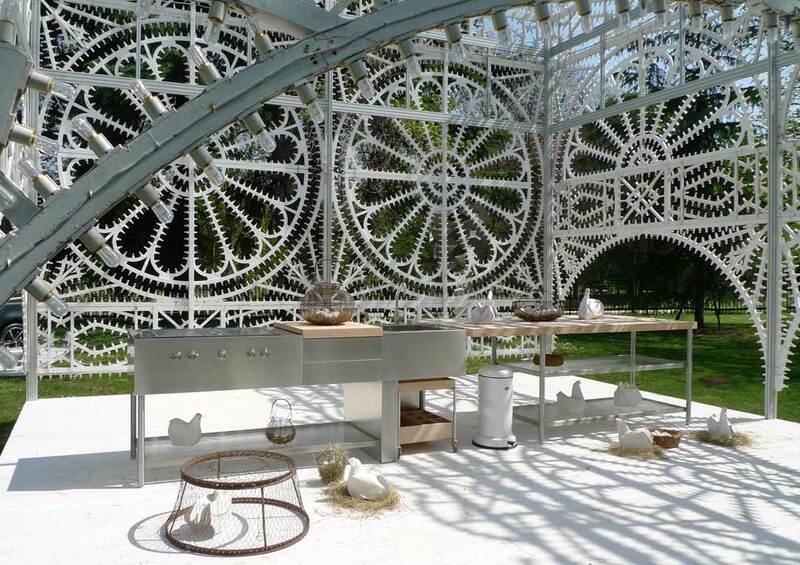 The decorated sections of the kitchen, which were so important to Urquiola, sparked a real controversy. The manufacturing process is very elaborate, as Boffi CEO Roberto Gavazzi emphasizes. As ensuring the consistently decorated worktops remains abrasion-proof and not sensitive to cuts was only possible by relying on a special materials mix. A granulate of ground glass from PC screens is placed on volcanic rock and seared into place. The raised surface that results is as unusual as it is striking. But things get difficult when you try to flush-mount an induction hob into this surface, for example. The pattern of the diamond-shaped décor then gets abruptly shattered. At any rate, with her first kitchen Urquiola has managed to create a new image, even if there’s no banishing the inevitable questions as to the purpose of it all, not to mention the cleaning required. Those are debates, however, that probably don’t get held as of a certain price. After all, the kitchen is en route from utilitarian object to object of conversation, and talking about it is often almost better than cooking. 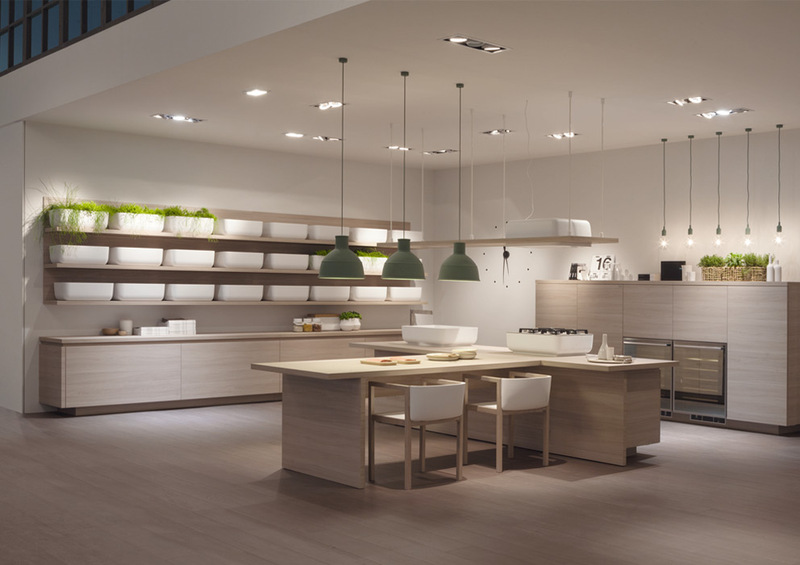 Things aren’t that much different with Bulthaup’s “solitaire” in its showroom in Via Durini. It’s based on a cruciform scissors made of aluminum profiles. Depending on how far this is opened, you can turn it into a kitchen or interior element for all sorts of functions. The series was developed inhouse by designers who remain nameless. The scissors has a round top that bears the Bulthaup logo. You can use it as a “preparatory element” or as a “presentation element” (read: a display case). The perfectly finished extruded profiles can house tablets made of aluminum, walnut or oak with a glass top. Wing tracks on the sides determine in what direction the elements open. The new program includes a “wall shelf element” that grows out of the wall as it were, starting slender at the bottom and becoming ever broader – and shares structural details with the standalone. The shelves house the Bulthaup container system launched two years ago. All in all, a comparatively high degree of materials have been used to ensure that those who like to live with only a few things get something that really stands out. Another highlight: the “cooking table” complete with induction hob and analog controls. While there are comparable units, they don’t come in the combination of wood, aluminum and concrete on show here. Bulthaup MD Marc O. Eckert loves addressing how analog stimuli can be moved forward in a digital world. He focuses on values and needs, and above all on a mindset. He says that standalones undermine the customary image of the kitchen. Gaggenau goes a step further at the fair. The team lead by chief designer Sven Baacke is involved in the communication. The products stand almost coincidentally on a booth that this time is shaped like a large inner courtyard. Most tradesmen use them in luxury kitchens anyway. 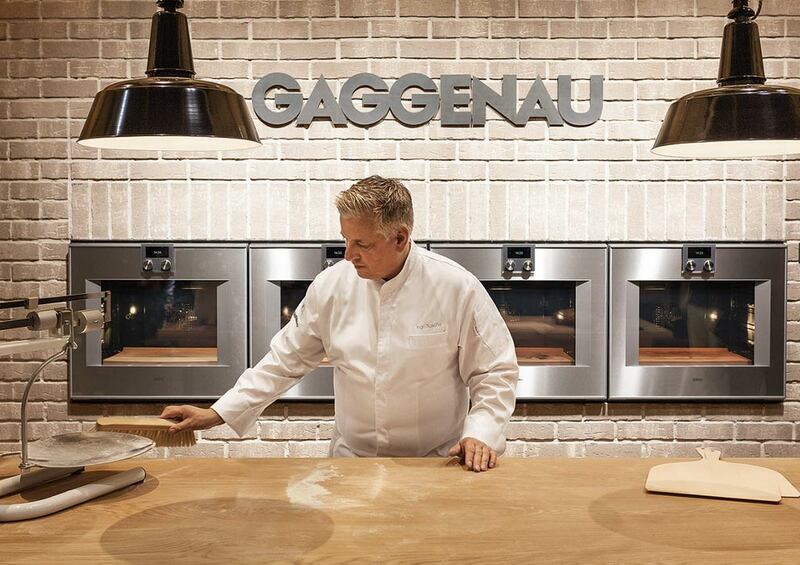 Gaggenau has managed to establish itself pretty much as the standard in this market category. And can thus afford to be super-casual. The top brand among the Bosch-Siemens household appliances invited “culinary ambassadors” to the booth: vintner Elisabetta Foradori, who plants Medieval Teroldego grapes, master baker Ingo Rasche, a trailblazer of ‘slow baking’ and master chef Cesare Casella. The ambassadors were responsible for one side of the booth, on the fourth new Gaggenau fridges were on show, superbly unobtrusive thanks to the way they are integrated into the wall. All of this conveys a sense of magnetism and leisure, something you don’t encounter that often in the kitchen industry in 2014. 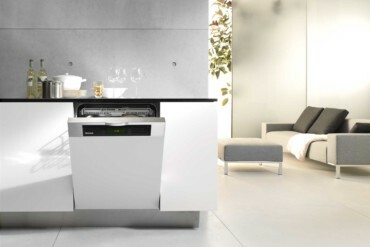 Miele is equally self-confident with its presentation of the variants of its new 6000 series. A dishwasher to tap (and it opens when it has finished its cycle) and an induction hob with a built-in wok are among the key novelties. So what else was there? In the ballroom at Palazzo Clerici, a marvelous townhouse dating back to the 17th century, Israeli designer duo Raw Edges showed what you can really achieve with mineral slabs made of Caesarstone, other than components for a modular kitchen: The designers simply milled sections for storage spaces – from cupboards through to multi-tier egg stores – out of the slabs, or cut out a circular element for a lemon press. Usually, the material is finished to create seamless sets, but here it boasts visible zigzag seams. Anyone so inclined can go next door and gaze at Tiepolo’s ceiling mural, or the bathroom furniture that Raw Edges created, with an integrated record player. On the same theme, Armani/Dada present “Slide”, a combination of huge marble top that you can open to reveal a hob and a steel work top or close again to conceal it all. 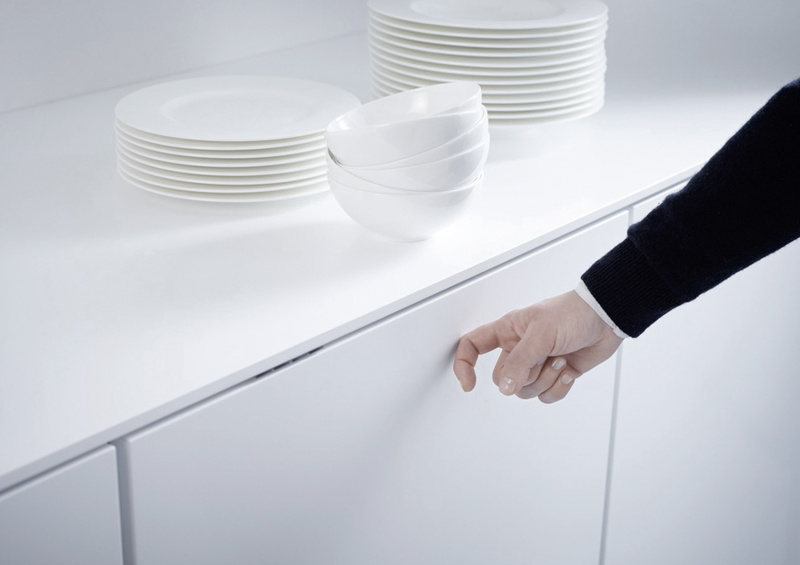 German designer Norbert Wangen has found more elegant solutions for similar tasks. 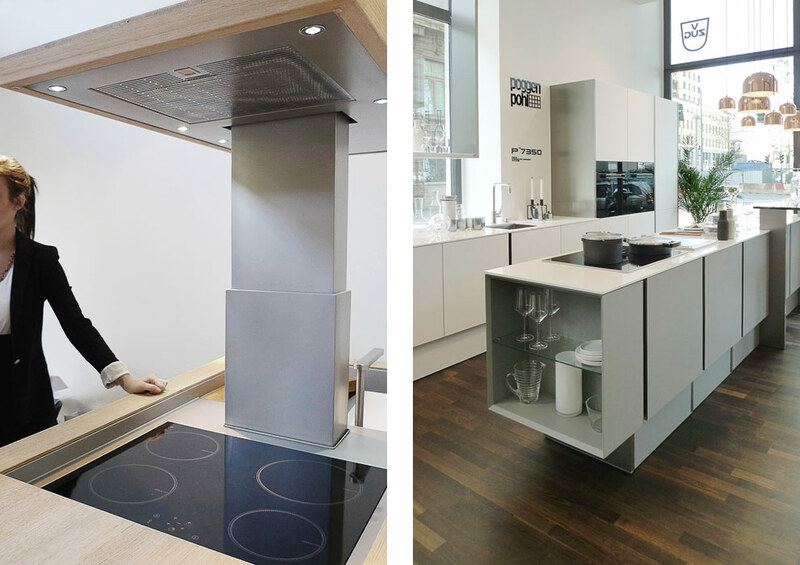 Manufacturers such as Leicht and Alno display refined tops. Alno has taken over Swiss steel kitchen brand Forster, which has once again left figures in the red, but also spawned the new brand Alnoinox. The mixture of old, weathered woods and new kitchen furniture is something that Boffi has far more coherently used than do they here. But at least makers in Germany have discovered how stimulating contrasts can be. Poggenpohl (traditionally not at the fair) has its new “P’7350” by the Porsche Design Studio on display in its showroom. The kitchen is defined by horizontal lines, the brochures say. 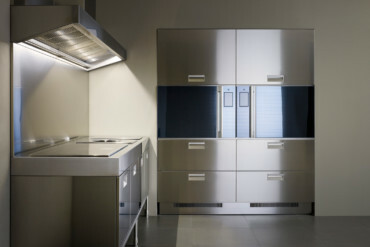 The lines run out sideways in this series, somewhat more restrained than the first Porsche design kitchen, are “visually linked” by so-called "blade"s, massive design facings. Somewhat improvised, but decidedly charming, the prototype Gulio Iacchetti presents for a multiply height-adjustable standalone kitchen called “Convivio” for Japanese brand Cleanup, which he displays in Via Garibaldi. 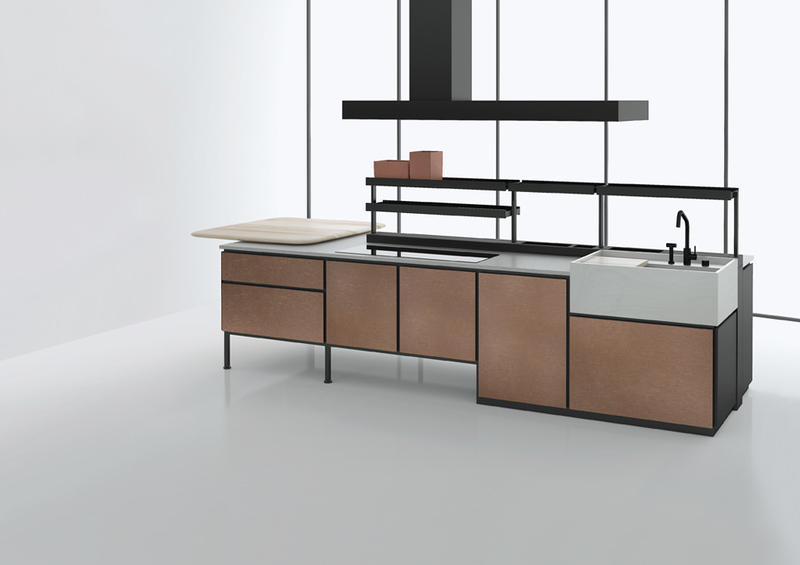 A couple of meters further down at Valcucine eleven designers are busy designing and building improvements to the “Meccanica” kitchen by subbrand Demode engineered by Valcucine. It’s almost like cooking, even if it involved computers, 3D printers, granulate and good old power-drills. And anyone who’s had enough of kitchens can go outside and practice making high-end, semi-automated fast food at the “Eataly” mobile booth. You digitally select an eco-burger at a touchscreen. And pay in cash or by card using the special slot. And real people then swiftly hand you the tasty burger. Almost like in your kitchen at home. Take the effort out of cooking: the biennial fair parallel to imm Cologne, presented technology as an aid to a better life. 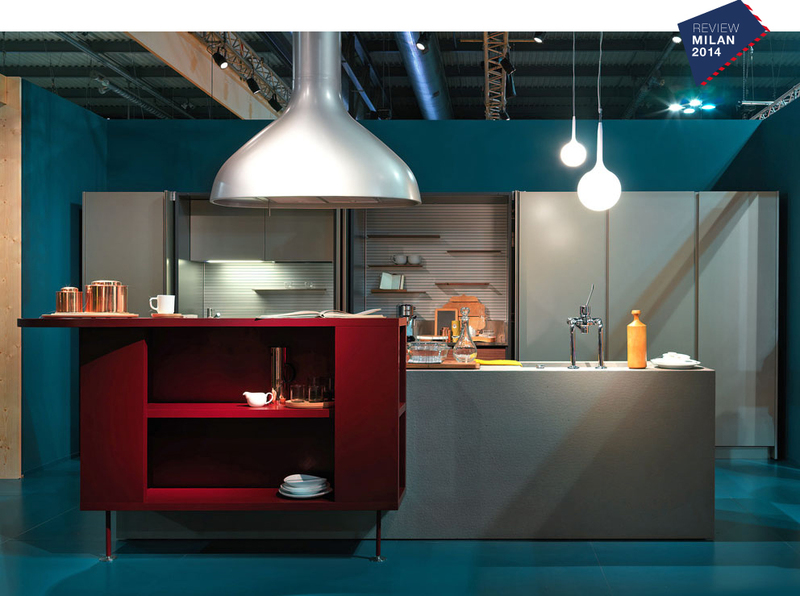 In search of the ideal kitchen: Who wanted to see innovative kitchen design in 2012, were not restricted to the fair grounds but had to traipse across the city.